Please allow me a moment to publicly renounce all my notions about genre classification. This is necessary because the new eponymous album by LA's Warpaint blows them all out of the water. I am finding a recent trend in music where bands are incorporating aspects from many different styles of music. In the 80s or 90s, this idea wouldn't have gained any traction. It probably wouldn't have worked well in the early part of this century, either. There are three positive ways to react to an album stream by a band you've never heard of: Interested, maybe I'll look into buying it, great, I think I want this, and Holy Mother of Judas! My reaction to the brand new album by Warpaint was the third option. This female foursome knows how to rock. What we basically have here is poppy vocal melodies played over lush ambient textures with bombastic drumming and many electronic beats. This band uses human drumming and drum machines in a creative way that I don't believe I've heard much. The two styles blend together seamlessly. All of these different ideas and band traits could have been a cluster of confusion. Instead, it is one of the most fun listening experiences I have had in years. I'd heard one song prior to listening to the album. It was fantastic, so I was eager to start the album stream when it was posted online. What happened with the rest of the album is beyond words. The only previous album I can remember where I've had this much fun listening was early last year when I first listened to the latest :papercutz album. The moods and energies in this album are unpredictable and exciting. The textures present in the music are dark and brooding to an extent where one could haphazardly label this as a gothic rock album. Such simplified genre classifications, as I alluded to above, are becoming less and less accurate. You could label this album many things, but what it really is, is great music that adheres to no set of stylistic genre rules, whether arbitrary or not. Another thing I would mention is that this album is a grower. The deeper into the album you get, the more you get wrapped up in it. Listening to a single song hardly does it justice, although the lead single Love is to Die is pretty fair representation of what you will hear on the rest of the album. 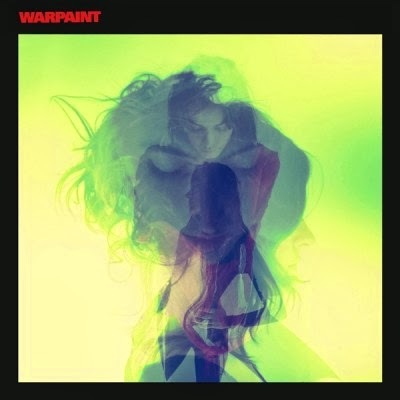 Warpaint is scheduled for a Jan. 21 release, but pre-streaming is available. Just Google Warpaint. I don't care what kind of music you listen to. You need to check this album out. Love is to Die is posted below. As always, thanks for reading and enjoy!